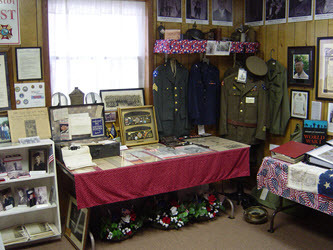 The Centennial Exhibit changes the display items with the seasons or for special occasions and events and has many unique items for purchase that make wonderful gifts. 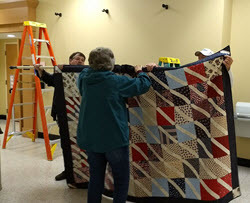 Friends of Historic Hayesville volunteers start cleaning and setting up new displays early each year to get ready for the new season at the HHI Centennial Exhibit. Click on the room names for a preview and watch for display updates. 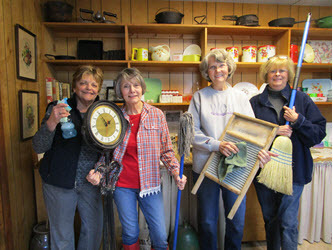 Visitors are warmly greeted by volunteers in the reception area. 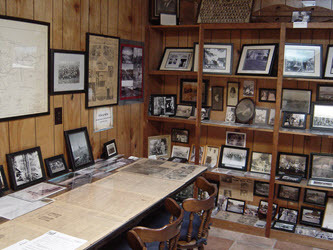 The small, packed room is full of local area information and maps together with some very special, very old items, photos, books and ledgers. 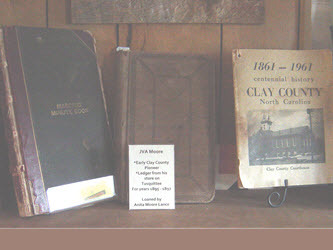 Many volunteers are long time residents and are happy to share stories of by gone times in Hayesville. 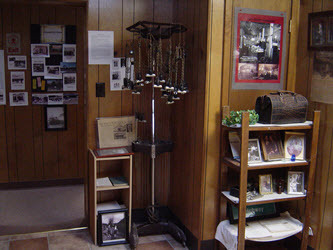 The rooms are for self exploration but questions are encouraged and a volunteer can act as your guide. 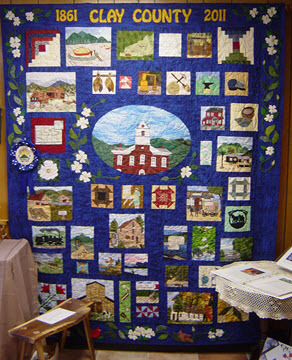 Historic Hayesville, Inc has a quilt room that is full of beautiful handcrafted quilts on loan for display. 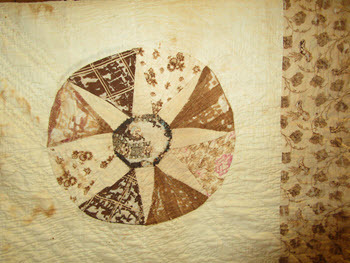 Of particular note is a Civil War era quilt and it has a story to tell. 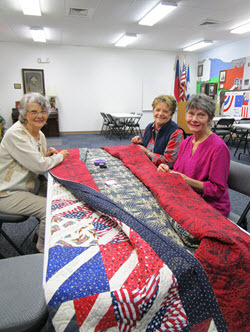 The quilt pictured here is on loan from the Dan and Joey McGlamery Collection. It is estimated to be 150 years old! 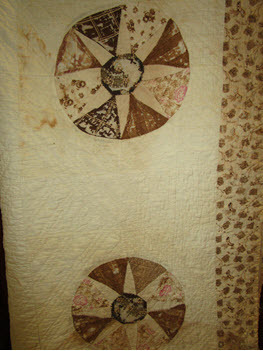 The quilt was set together (bordered) with material from the wedding dress of Martha Ann McClure Killian. Martha Ann was the first wife of Dr. Daniel Wilkensen Killian and mother of Dr. Paul Bismark Killian. Martha Ann was also Dan's great-great grandmother. Martha Ann and Dr. Daniel Killian were married on August 27, 1861. She died in October or 1877 at the age of 37 and is buried in the family plot in Hayesville, NC. 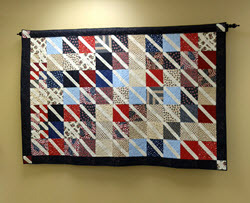 This quilt survived the Civil War by being buried under the Killian family's smokehouse. It is a prized piece of Killian history. It was passed down to her son, Dr. Killian, to his daughter, Ora McGlamery, and to her son, Dan McGlamery. 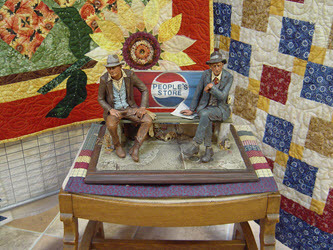 Another quilt of particular note is an award winning quilt that was made to celebrate the Clay County 150th year Anniversary 1861 - 2011. 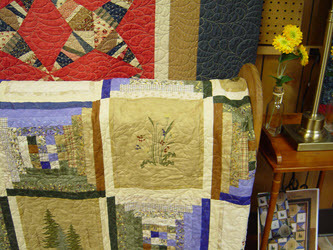 The quilt won First Prize in the Quiltfest 2011. 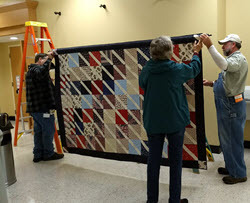 This magnificent quilt, completed by Misty Mountain Quilters Guild is on permanent display and each block tells a story about Clay County and its history. 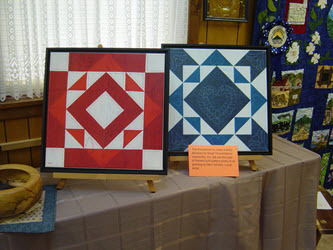 Many traditional and modern quilt designs are also on display. 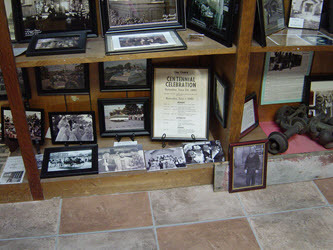 The display changes from time to time so there is always something new to see. 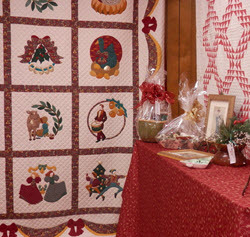 Christmas is a special time when the quilt exhibit includes seasonal masterpieces and there are gifts available for purchase. 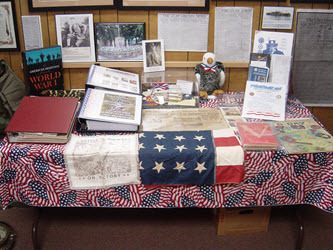 Other items on display include books, photographs, paintings and even bumper stickers. 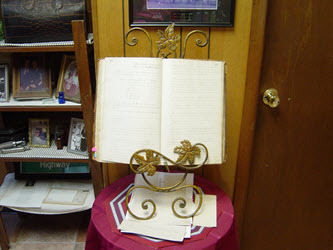 There are some handcrafted items many of which have a story to tell too. By way of example, this church model is made from the old split wooden shingles that used to cover the fixed awnings over the sidewalks in downtown Hayesville from the 1970’s to 2016. 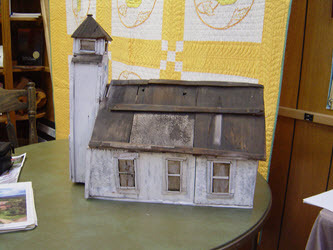 The model is based upon a historical photograph of the Union Hill Baptist Church on Burnt Schoolhouse Road, prior to its renovation and additions. The church roof lifts off to show the rows of pews etc. inside. 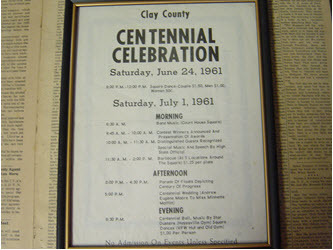 This model was handcrafted by local attorney and historian, Gary Nichols. 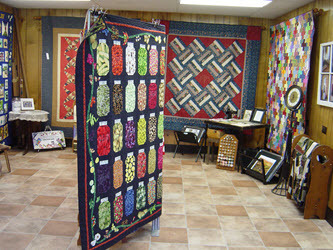 Selections by other local area artisans are also on display and some are available for purchase. 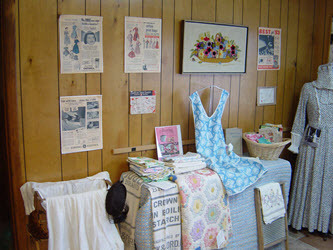 One of the rooms in the Exhibit is dedicated to items and articles from times past in Hayesville. 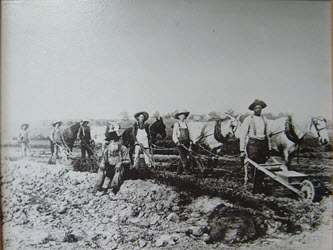 Stories and photographs of individuals and industries make for very interesting eye-opening reading of how life used to be. A visitor may find it difficult to believe that "back in the day", when the creation of the TVA Lake Chatuge was to displace 500 families, the project was put on hold because one of those families had a member who was seriously ill and could not be moved. 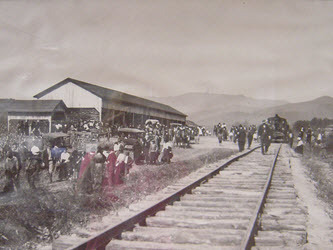 The whole story can be read in the original newspaper articles that are available for view. 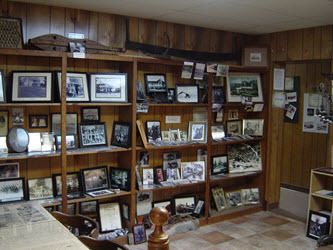 Artifacts and photographs highlighting the vibrant lumber industry and train line of yesteryear, fill shelves in the room. 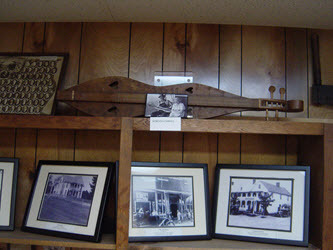 On a top shelf you can see an exquisite local hand made lap dulcimer instrument – no wonder “music in the mountains” is synonymous with the Smokies and its people. 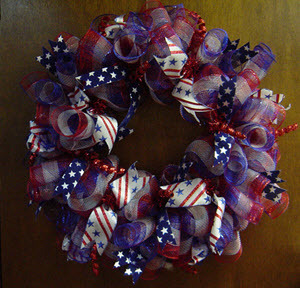 This was hand crafted by Gordon Parris, a local farmer who became a very accomplished craftsman. He designed and hand made many different mountain musical instruments including the famous Appalachian Mountains lap dulcimer. His instruments still play and all display his wonderful craftmanship. He also hand-crafted furniture and gunstocks. 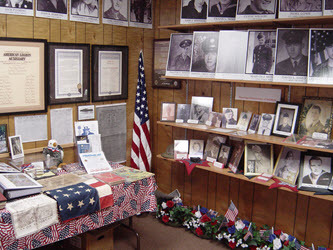 The Centennial Exhibit Veterans Room displays photographs and other war time memorabilia from the Civil War forward through the years to honor generations of soldiers. 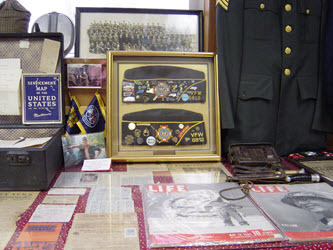 Many photographs, together with uniforms and weapons and other items of interest, have been loaned by local families for display. Some of those photographs are placed around the Veterans Memorial on the square for the annual Memorial Day and Veterans Day activities in partnership with Allison Bristol VFW Post 6812 and the George Lee American Legion Post 532. 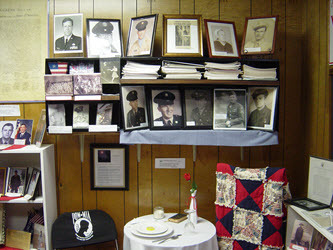 Hayesville is the only town that participates in the NC Small Town Main Street program that has a room dedicated to veterans. 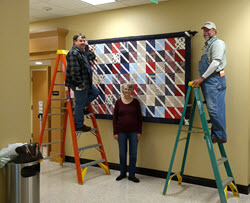 To honor all who have served or who are currently serving, area quilters have gathered honor and memory squares and have assembled an "Honor" quilt. 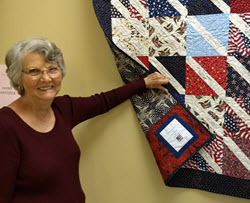 Several different handmade tribute square designs were available, within which, inscriptions were clearly marked to honor those who served in conflicts or peacetime. 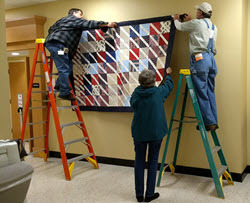 The quilt contains a large display of names honoring those who served as early as the Revolutionary War to current military bases at home and abroad. 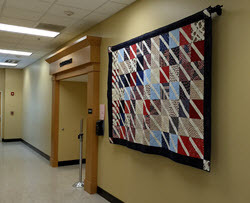 It has been placed on public display in the (new) Clay County Courthouse. 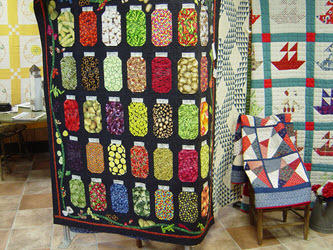 The quilt is a fitting tribute. Reference: The cartoon above has been specifically created for Historic Hayesville Inc to use by Paul Jamiol, an author, illustrator and cartoonist. 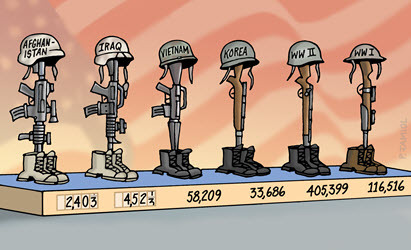 The numbers for Iraq and Afghanistan are as of 8/31/2017. 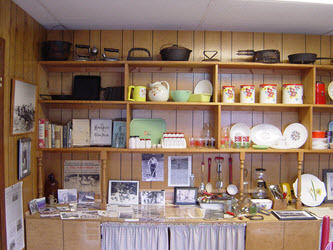 The Centennial Exhibit features an early kitchen/early home room complete with old but still working kitchen "appliances". 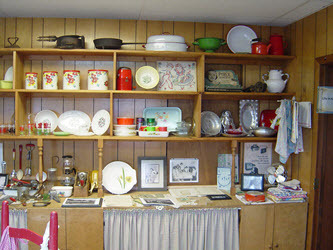 Many of the once essential tools of the kitchen are now unrecognized and baffle young visitors as to their use. 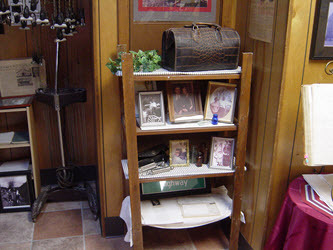 Many local families have loaned items for the education of all.